Ironmongery Experts is proud to present its collection of door stops for home and office use – with a huge variety of styles and metal finishes to choose from, you’re sure to find something that meets your needs. Featured above is our selection of floor door stops, which are purposed with preventing doors from slamming into their adjacent wall. A floor mounted door stop is a more sturdy, permanent alternative to door wedges, since they are immobile once applied. We carry both the spherical and cylindrical varieties in a range of materials, so your tastes are taken into account no matter what kind of floor door stop you’re searching for. 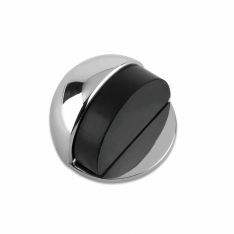 If you wanted something that attaches to a wall or skirting board instead, consider our range of skirting door stops. These fixtures come in several different models from cylindrical to spring-based, and each comes in various sizes and metal finishes. Although they affix horizontally, these provide the same function as floor mounted door stops – choosing a style you appreciate is the best part! Whatever you’re in the market for, Ironmongery Experts has you covered – all year round.